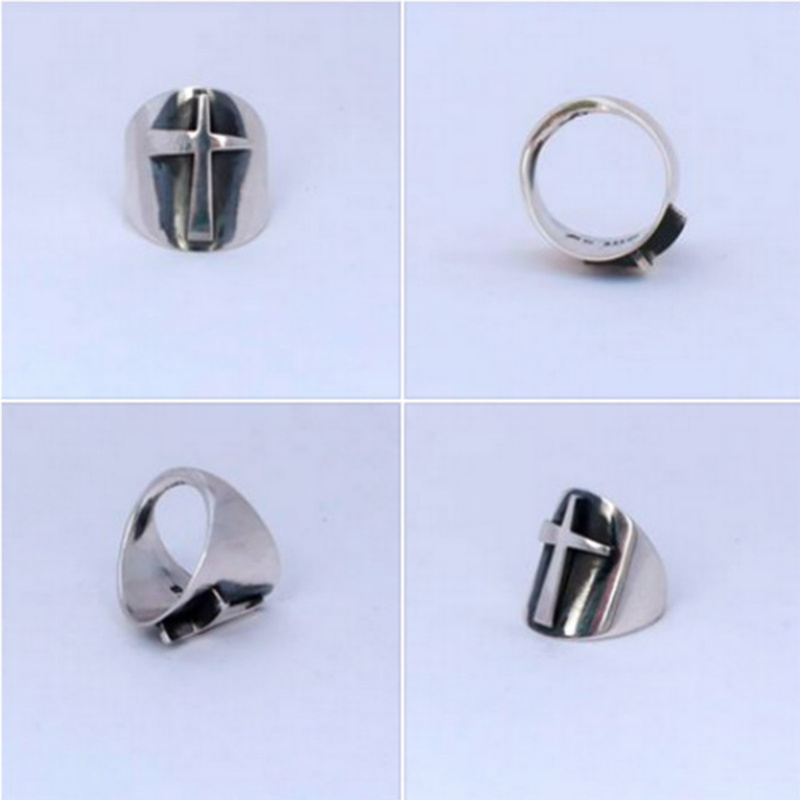 The Trinity Cross Infinity ring combines the Trinity Cross with the S.I.R. Sherman Infinity Ring design. It was designed by Los Angeles-based sculptor / jewelry designer Charles Sherman in 2014. The Sherman Infinity Ring design was perfected on a computer in 2007 and is a circle, equilateral triangle and infinity sign. From the front view, It appears to be an O-ring or circle. From the side view, it is an equilateral triangle. From the top, it is the infinity sign or figure 8 on its side. The ring's width makes a dramatic statement of faith, yet is very comfortable to wear due to the thin width of the band on the palm side.